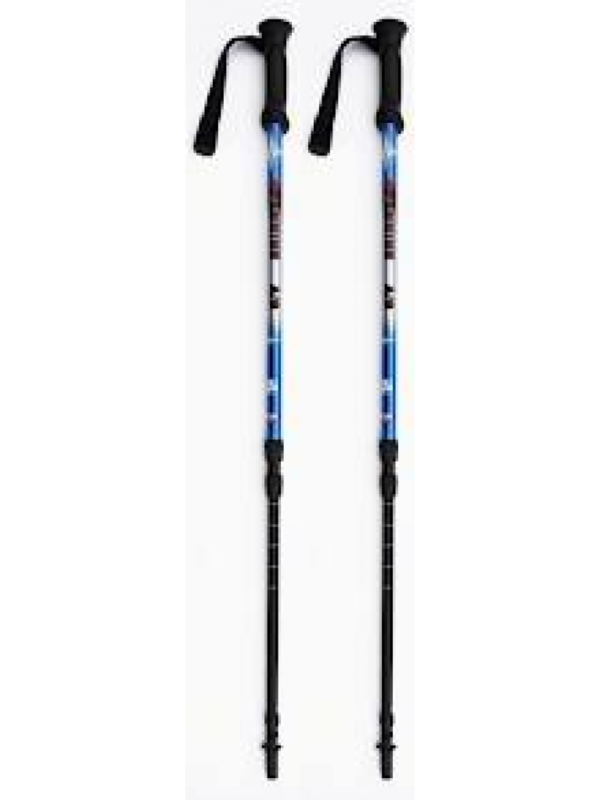 Trailwise Pennine Antishock Trekking T201/ Walking Poles (Pair) are produced from seamless 7075 alloy. These are good quality, excellent value walking poles which are suitable for walking, hiking and trekking. The Trailwise Pennine Antishock T201's are 3 section 6061 alloy poles with 'Twinlock Cam System' adjustment. These are very positive and easy to adjust - just twist to unlock, slide to length and then twist to lock again! The 'Antishock' spring is versatile in that it can be mset in 'active' or 'passive' mode, dependant on the type of terrain and personal preference! A contoured rubber handle is fitted and incorporates an adjustable wrist loop. Also features a Carbide tip and rubber ‘street foot’. Why Use a Trekking Pole? Trekking poles have finally been accepted in the UK as an aid to all age groups and abilities of walkers and mountaineers. Trekking poles offer the benefit of support and balance to relieve pressure on the knees. back and tired legs. They are not only for the use of those already suffering from knee or back problems. Prevention is better than cure. Trailwise poles use the finest 7075 grade aluminium seamless pole sections and positive friction locks for length adjustment.